If any cookie can fulfill all of those things, it’s these bad boys. 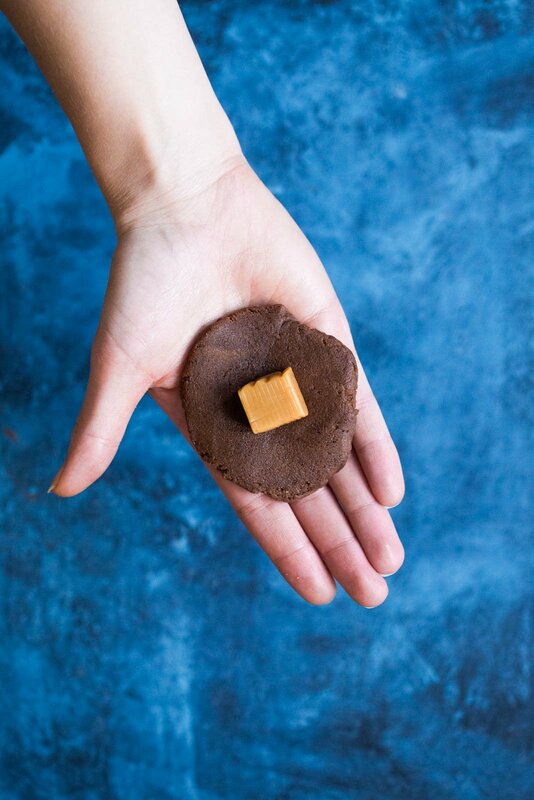 Chocolate dough is laced with a cinnamon sugar zip and wrapped around a giant square caramel. They’re then baked and topped with flakes of sea salt for a sweet and salty combo like you’ve never had before. 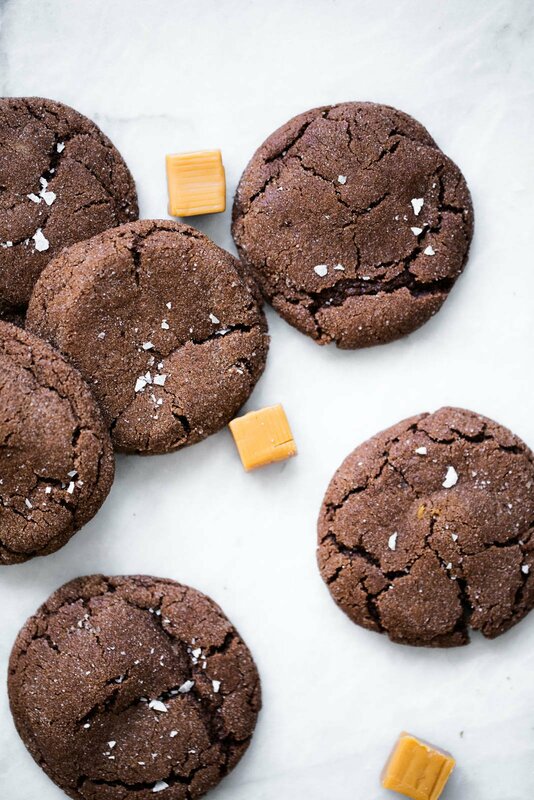 Pull them apart or bite into a melt in your mouth cookie with a chewy middle and perfectly crisp edges. 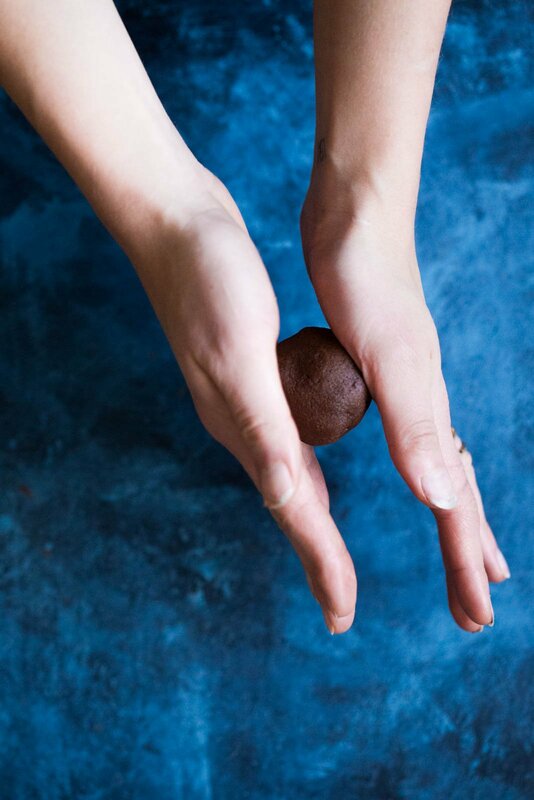 The trick to rolling the dough is right in these photos. If you make these, let me know by leaving a comment below or tagging #ambitiouskitchen on Instagram! 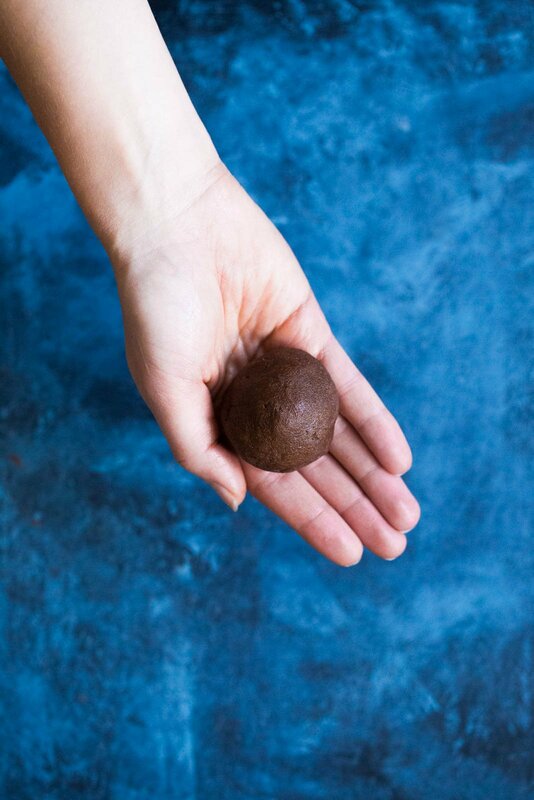 In a large bowl, whisk together the flour, cocoa powder, baking soda, cream of tartar, cinnamon and salt. Set aside. In the bowl of an electric mixer, cream together butter and sugars until light and fluffy, about 1 minute. Add in vanilla, egg and egg yolk; beat again until well combined smooth and creamy; about 30 seconds longer. Add in dry ingredients and mix on low until just combined and the dough forms. Transfer the bowl the fridge and refrigerate the dough for 20 minutes. Once ready to bake, preheat the oven to 350 degrees F. In a shallow bowl mix together sugar and cinnamon. Set aside. Line a large baking sheet with parchment paper. 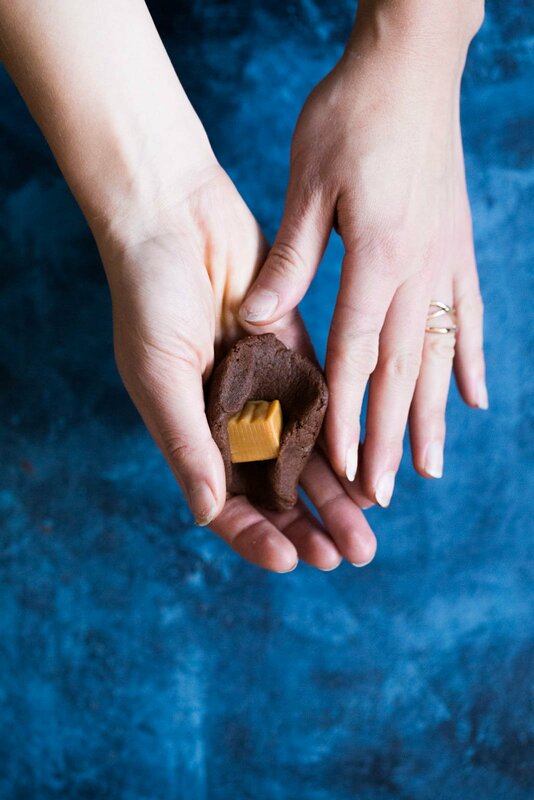 Use a cookie scoop to grab about 2 tablespoonful of dough, then flatten and put a caramel in the middle of the dough; roll dough around the caramel into a ball (make sure none of the caramel is showing). Roll dough balls into the cinnamon sugar mixture and place on cookie sheet, leaving at least 2 inches apart from one another. Do not flatten the dough. Bake for 9-11 minutes or until edges begins to crackle just a tiny bit. Remove and allow cookies to cool for a few minutes on the baking sheet before transferring to a wire rack to finish cooling. 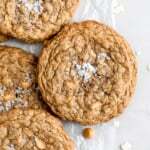 If you'd like, sprinkle flaked sea salt and each cookie. Enjoy! Makes 18-22 cookies depending on the size of the cookies. 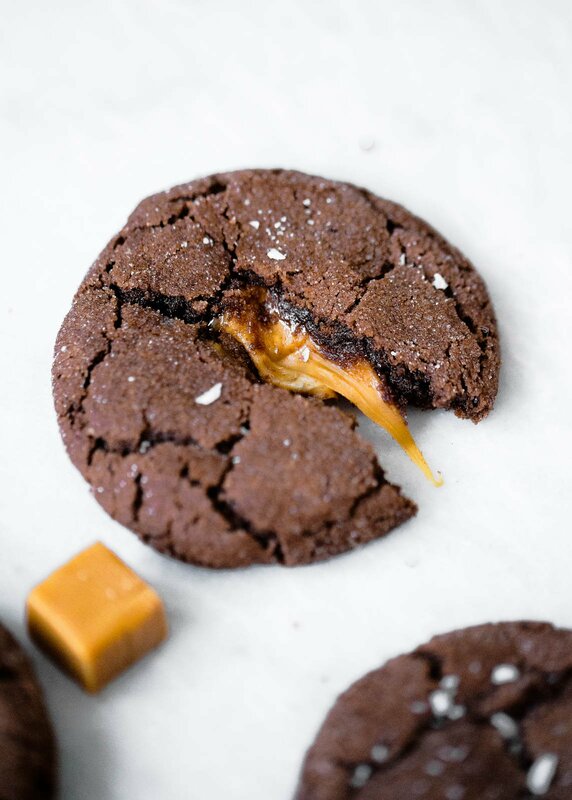 22 Responses to "Salted Caramel Stuffed Chocolate Snickerdoodles"
Perfection at it’s peak ! You have gathered top ingredients for the Top of the Pops product. Thank you and have a pleasant weekend ! 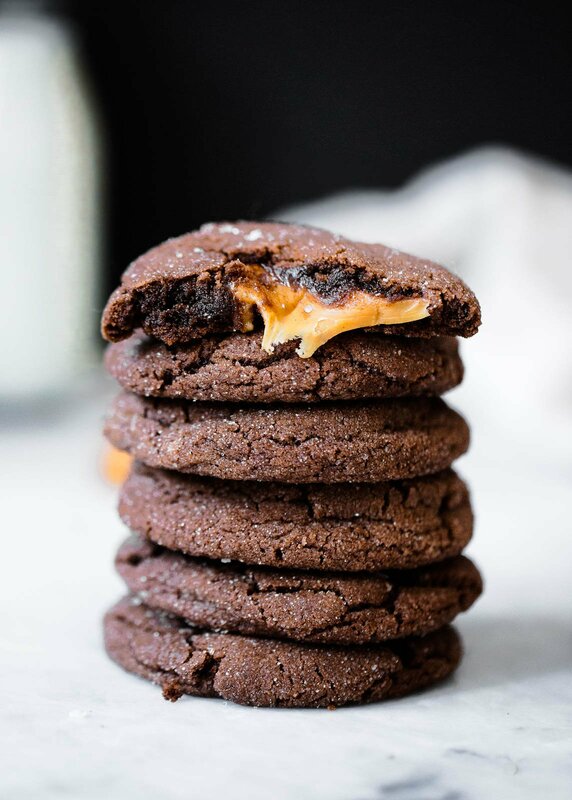 These cookies have that WOW factor that I’ve been dreaming of! 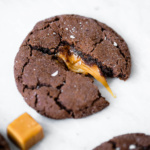 The fact that it’s stuffed with caramel makes them 1000% even better! So good looking! You definitely saved the best for last, no joking! 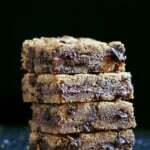 Is it possible to make these as bars, similar to how you did your UH-MAZ-ING nutella stuffed chocolate chip cookies as blondies? Any changes to the recipe in doing so? I’m looking to make these in massive but easy proportions (read: my kids’ teachers will be the envy of the school!). 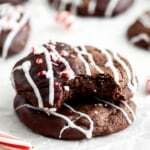 I have a cookie exchange to attend tomorrow, aaaand I am making these. Looks scrumptious! These looks amazing – and even worth giving up the diet for a bit to make and eat them. Testing out recipes today for my work cookie exchange and these worked out like a dream! They are so good! It’s coming down to these or your soft ginger/white chocolate pistachio ones (a good old standby for me). I’m also about to try your almond flour sugar cookies. Thank you for the amazing recipes Monique. I’m having trouble finding unsweetened cocoa powder. Will the regular type work or should I keep searching? I don’t typically right reviews, but this cookie was totally deserving. My family and I agreed that this is one of THE BEST cookies we’ve ever tasted! Thank you for the incredible recipe. 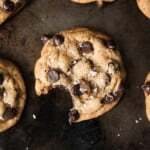 Your recipes are always some of my favorites, and this was no exception.THIS cookie made indulging in a holiday treat worth it! ? 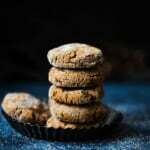 Would you suggest not using wheat or almond flour for these? These were a hit at my cookie exchange today! I definitely needed to flatten the caramels out before wrapping the dough around; when I left them as cubes they were too heavy in the middle and the cookies fell apart. I also recommend you serve these slightly warmed up, so the caramel isn’t too chewy. 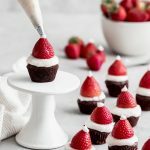 I’ll definitely be making these again; they turned out beautiful and the flavor was GREAT! THESE ARE INCREDIBLE! Huge hit at our holiday party. I’ll be making them again for Christmas 🙂 Thanks again! these are the best cookies that I have ever made!!!!! So happy to hear that Kate! !